You’ve taken the first step in talking with Dr. Milestone and have selected treatment with Invisalign in the Verona, NJ area in the Verona, NJ area with Milestone Orthodontics. 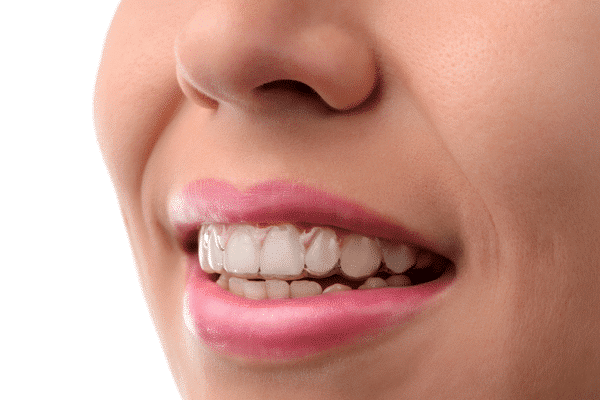 It’s important that you understand the best methods to clean your Invisalign aligners. At Milestone Orthodontics which serves Verona, NJ and surrounding areas, we recommend wearing your Invisalign approximately 22 hours a day. The aligners are typically removed when you eat so this is the perfect time to clean them. One method is to use the Invisalign cleaning system that we sell here at Milestone Orthodontics. This system is designed by Invisalign and helps remove plaque within 15 minutes and keeps your aligners odor-free, hygienic and clear. Another method of keeping your aligners clean is to purchase a denture cleaning product. While you eat, you can soak one aligner per one tablet of denture cleaning. At Milestone Orthodontics, we suggest leaving the aligner in the cleaning product for approximately one hour. This can be done up to twice a day. A third method of keeping your Invisalign trays clean is to use a baking soda product. It is suggested that you dissolve 1 tablespoon of baking soda in 1/2 Cup of water. Soak your trays in the baking soda water for about an hour. This method can be done twice a day. Another cleaning method is to brush your aligners with a toothbrush and toothpaste. This will help keep them clean of particles as well as smelling fresh. At Milestone Orthodontics, we want to help you keep your aligners clean while straightening your teeth. If you have any questions regarding your Invisalign care, the staff in the Verona, NJ area is here to assist you. Always remember to rinse before putting your aligners back on and keep on smiling! For more information, or to schedule a consultation, contact Milestone Orthodontics today!